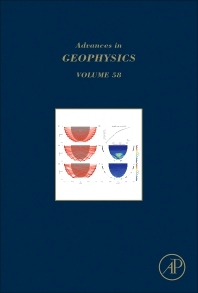 Advances in Geophysics, Volume 58, the latest in this critically acclaimed serialized review journal that has published for over 50 years, contains the latest information available in the field. Users will find valuable chapters highlighting the Novel use of geodynamics in plate tectonic reconstruction, and on Optimized experimental design in the context of seismic full waveform inversion and seismic imaging. Since 1952, each volume in this series has been eagerly awaited, frequently consulted, and praised by researchers and reviewers alike. Now in its 58th volume, it is truly an essential publication for researchers in all fields of geophysics.